Melanie Carvell is a gifted athlete who grew up in a small town in southwestern North Dakota in the 1970s. This beautiful memoir tells the story of Melanie’s remarkable journey, from the agricultural village of Mott (population 732) to world duathlon and triathlon competitions, then a notable career as a physical therapist, director of the Sanford Women’s Health Center in Bismarck, North Dakota, and a widely sought-after motivational speaker. Melanie learned to run on the northern Great Plains where the winters are long and harsh and the wind tests the human spirit. She attributes her national and international success to her agrarian roots and the challenge of biking, running, and swimming in one of the most formidable landscapes of America. Her motivational philosophy is, “If I can do these things, given the modesty of my upbringing and the harshness of the Dakota climate, so can you.” Running with the Antelope” inspires readers to begin a program of athletic training, weight loss, or general self-improvement. 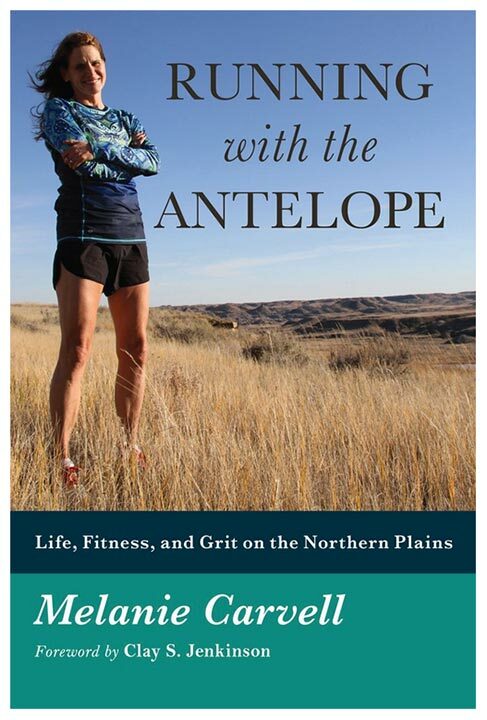 Written in a humble and accessible style, with loving anecdotes about her life as a top athlete and her work as a physical therapist, Running with the Antelope is part self-help book, part prairie memoir, and part song of love to North Dakota. Contact Melanie for a signed copy. With a forward by Clay S. Jenkinson, Running with the Antelope is a magical portrait of why North Dakota is the perfect place to train for triathlons and other athletic competitions, and an inspiring account of Melanie’s life. This is a book that will get you out onto the trails, in rain, wind, snow and those 35 perfect North Dakota days; it will make you want to eat healthier, live with more vitality, get your body into shape, work more productively, and cherish the beauty of the Great Plains. With this book Melanie once again is running back to encourage those of us who are a little slower. Reading this book, you will find the inspiration to take that first step toward the healthier life you want to live. The bonus is that you will get to know Melanie, who is not only a world class athlete, but a world class human being. As an Olympic athlete and professional coach, I know gifted leaders when I see them and Melanie is the real deal. She leads by example and empowers others along the way. 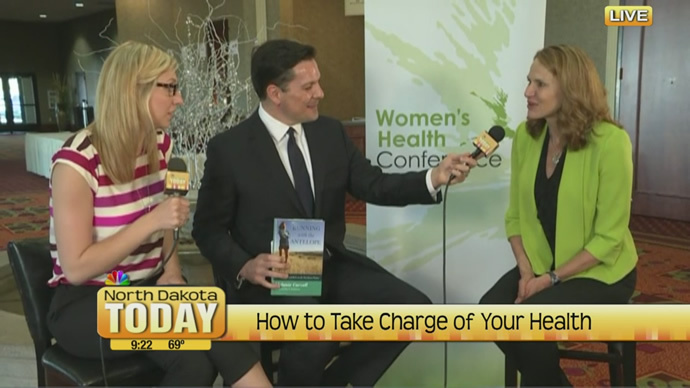 Fitness expert, Melanie Carvell, on North Dakota Today. Meredith Holt, with the Forum, reports on Melanie’s WHC talks. Running with the Antelope is the memoir of a North Dakota woman who broke her traditional family’s expectations that as a female she would stay close to home and family. That’s not to say she didn’t have a full family life, with a husband and children, it’s just that it wasn’t to be her only life. And if you follow running and cycling events, or competitive triathlons, you may have already recognized the author’s name. Melanie Carvell has been running, cycling and participating in triathlons for over 30 years, along the way earning many national and world awards. High Country News recommended reading! Fall is for reading HCN editors’ pick of the best new fiction and non-fiction. The green of August is turning to gold as I write this, and western Colorado’s aspen trees are already flecked with new colors. There’s a dusting of snow on the highest peaks, and the evenings are too chilly to linger outdoors past sundown. It’s the perfect time to delve into new books, and this year’s harvest is ample, with titles from favorites..
She was on a bike, flying down a road in Theodore Roosevelt National Park, her son cycling near her, when two horses in a field spotted them and joined in, galloping alongside the road. Four beings racing together at matching speed. “They were flying and we were flying,” related Melanie Carvell, 53, a cyclist who has qualified for past Olympic trials. 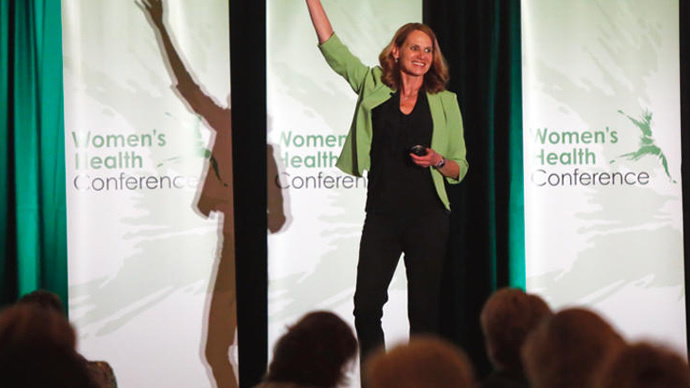 She is also a six-time all-American triathlete who represented the U.S. on eight world championship teams, was a bronze medalist at a past world championship in Germany, and is now author of a memoir. “It was almost mystical, almost spiritual,” Carvell said about the horse incident. Perseverance seems to be the common theme in Melanie Carvell’s life. Now she’s ready to tell her story. Born and raised in Mott she went on to receive her undergraduate degree in Physical Therapy from the University of North Dakota. From there she went overseas as her husband finished his education. After that she returned to the United States and settled in Bismarck, where she has worked at Sanford (formerly Medcenter One) for the last 30 years. But her story starts in high school. Trying out for her high school cheerleading team, she had one more task to perform for the tryout. She landed hard and injured herself. At that moment the severity of the injury didn’t seem bad, but after a little while it appeared to be extensive, and required an ambulance ride and bed rest for four days.